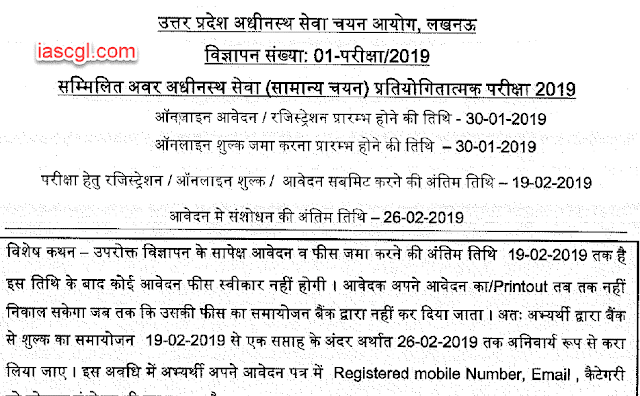 UPSSSC Recruitment 2019Uttar Pradesh Subordinate Services Selection Commission (UPSSSC) has released 672 vacancies for Asst. Chakbandi Adhikari, Marketing Inspector, Supply Inspector, Forest Inspector, District Information Officer, Executive Officer and Rajasva Nirikshak (RI). Interested and eligible candidates can apply for the posts.